Pininfarina’s PF0 hypercar is no secret. News Pininfarina was working on a hypercar bore fruit in July when the company announced it’d show the car at a private event during Monterey Car Week. Then, through August and early September, the company released a gaggle of teasers, giving us a peek at the futuristic cabin and the car’s rear end. We still haven’t seen the car in full, but a new teaser along with new information gives us hope we will see the car soon. 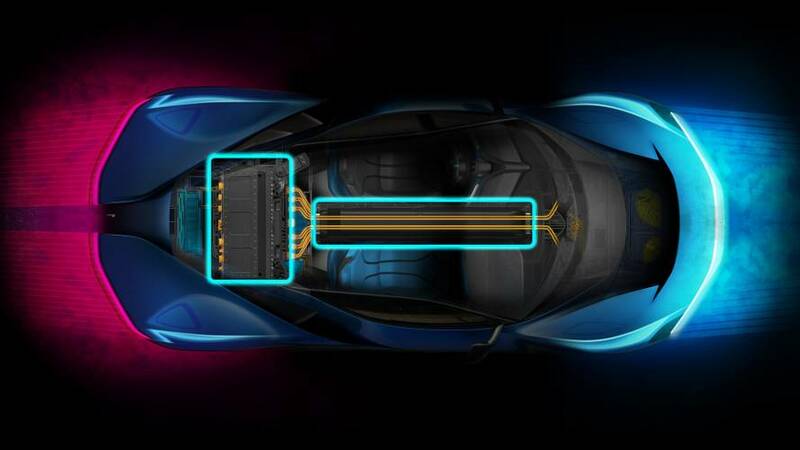 Pininfarina announced it’s partnering with Rimac, which will provide the company with the high-performance EV powertrain and battery technology needed for the PF0 hypercar. Rimac will supply Pininfarina with the hardware and software, and engineering expertise. Making a claim the PF0 will be “the most powerful Italian-built sports car in history” is bold, setting the bar high for the company. Tapping Rimac for the battery technology certainly adds credence to Perschke’s claim. We know Pininfarina will limit the $2-million PF0 to just 150 units. It’ll be the first pure-electric hypercar with a rumored ranged of 310 miles (500 kilometers) and a top speed of more than 250 mph (402 kph). 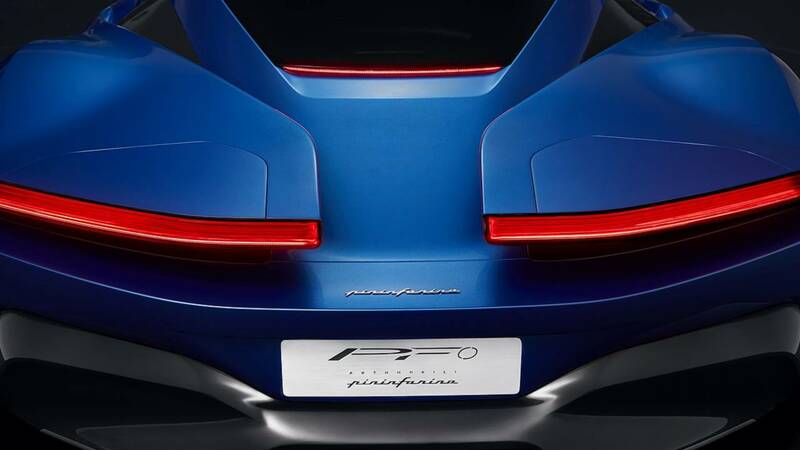 Pininfarina will begin PF0 deliveries in late 2020. (Munich, 28th September 2018): Automobili Pininfarina has today made a series of power-packed announcements from its new Munich headquarters that will see it strengthen its management team, secure cutting-edge, world-beating electric powertrain technology, and put Formula 1 and Formula E experience in the PF0 hypercar driving seat. Building on the successful debut of the PF0 luxury electric hypercar concept to supercar owners, luxury car retailers and automotive connoisseurs in Monterey and Pebble Beach last month, the Automobili Pininfarina team has returned to Europe to set in place the business foundations and partnerships that will lead to the delivery of the first PF0 in late 2020. Munich has been confirmed as the company’s corporate and operational headquarters, providing access to expertise and engineering networks in arguably the world’s most successful and technologically advanced car market. Munich’s reputation as one of the world’s most exciting cities and its proximity to northern Italy, the home of Pininfarina SpA – who will design and build the PF0 under contract – was key to CEO Michael Perschke’s selection of it for the global headquarters. At a press conference in Bavaria’s capital city today, Perschke and special guest Dr. Pawan Goenka, Mahindra & Mahindra Managing Director and Chairman of the Supervisory Board of Automobili Pininfarina, also introduced a stellar cast of partners and collaborators in this exciting new dawn for sustainable, luxury, high-performance cars. Dr. Pawan Goenka said: "The operating model for this business is exciting and absolutely relevant for the new mobility world in which we now live. It begins in Munich, bringing together the greatest minds and most innovative technology partners in the world, and investing in the right people and suppliers. This will ensure Automobili Pininfarina delivers on its promise to develop a range of beautiful, technically advanced, zero emissions, luxury cars befitting the Pininfarina brand. PF0 is the first result of this teamwork and will be a benchmark in the new EV hypercar arena." As electrification becomes both a genuine powertrain performance option and a necessary engineering solution for the modern world, Automobili Pininfarina has secured a unique technical partnership with Rimac to provide battery and drivetrain expertise, software and hardware. Having started his company as an innovative and cutting-edge supplier of electric powertrain products less than ten years ago, Mate Rimac and his team have made significant steps into the automotive establishment, supplying electric power to a number of global sports and supercar brands. The contract with Automobili Pininfarina marks a significant step for both parties, as Automobili Pininfarina secures an innovative, successful and highly proficient technical partner, whilst Rimac secures their first series production automotive supply contract. As Automobili Pininfarina begins the countdown to delivery of the world’s first luxury electric hypercar in 2020, its Management Team has been strengthened further with the appointment of Christian Jung as Chief Technology Officer. In addition, Peter Tutzer joins the business as PF0 Senior Technical Advisor. Jung joins as Chief Technical Officer having risen through the ranks of BMW Group in Germany and the USA, and Porsche AG. Jung moves from California where he has been based for about one and a half years, most recently as Faraday Future’s Senior Director of Electrical Engineering and Platform Strategy. Before that he was Porsche’s Director for E-Mobility Systems Design and a leading part of the initial project lead team for the Mission E and additional electrification projects. Holding a PhD in mechanical engineering, Peter Tutzer has more than 35 years’ experience in the automotive industry. Peter began his career at Porsche, where he was ultimately appointed as Chief Engineer for the company’s race car programme. Peter then joined Pagani where he was responsible for the chassis, vehicle layout and packaging of the Pagani Zonda before joining Bugatti where he played an integral role in the engineering and development of the Bugatti Veyron. Responsible for the complete car layout – packaging and integration of chassis and aerodynamics – he also managed the complete car test and development programme. Peter has also held the role of Technical Director at Lotus Cars and, most recently, held the position of Chief Technical Officer at Thunder Power EV. Kickstarted by winning all major Junior Championships such as F3 and F3000, Nick Heidfeld now has an accumulated experience of 20 years in top-level Motorsport. This includes a successful Formula One Career spreading over 183 races, class wins at the famous 24h of Le Mans sportscar-race and the unprecedented achievement of podium appearances in four different race categories at the illustrious Monaco Grand Prix. He has been part of the all-electric Formula E Championship since its inception and has helped Mahindra Racing grow into a winning team over the last three seasons, prior to confirming his role as an integral member of the Automobili Pininfarina team.